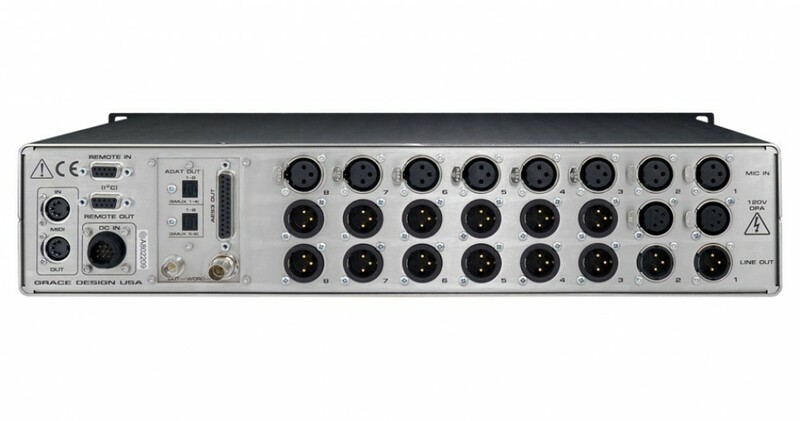 Dante is the leading audio network solution in the industry and is supported by over 100 manufacturers of products such as digital consoles, I/O interfaces, etc. 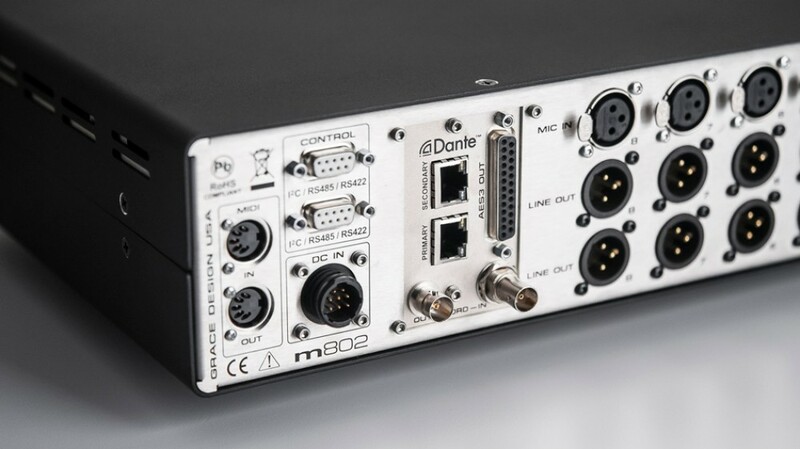 m802 users can now add the new Dante module (or upgrade their existing AES-id or AES/ADAT version) and connect the m802 to other Dante network equipped devices. 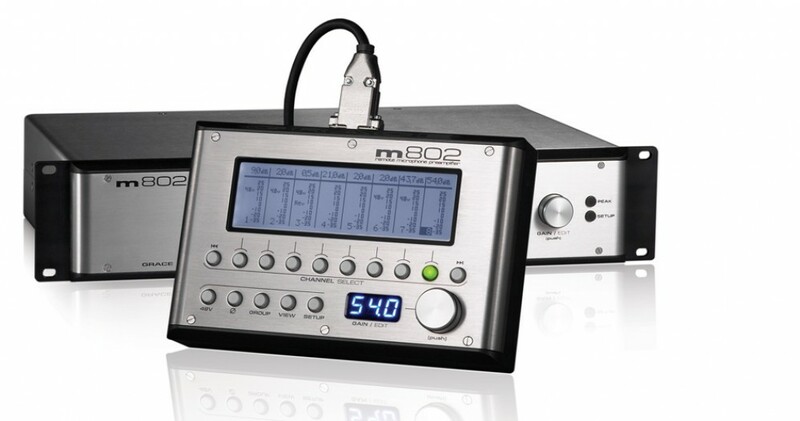 Possibly the world’s most evolved mic preamplifier, the m802 delivers functionality and performance which simply doesn’t exist in any other mic preamp design. The core is a high fidelity 8 channel microphone preamplifier designed to be extremely transparent and musical. But that’s just the beginning. 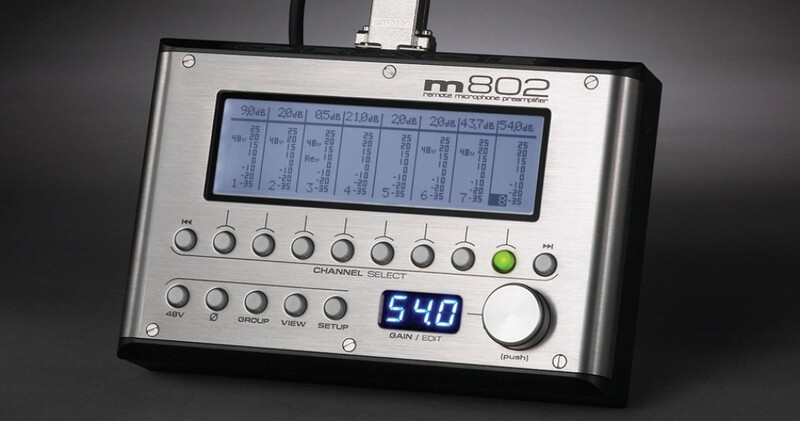 The m802 is fully remote controllable. With our full featured stand alone hardware RCU (optional), up to 64 channels (a system of 8 m802’s) can be addressed and controlled seamlessly from up to 1000’ away. All preamplifier functions, including gain, phase, 48V phantom are instantly accessible and adjustable. These settings can then all be stored into preset locations and instantly recalled. The m802 can also be controlled directly from Digidesign® ProTools|HD® systems, compatible control surfaces and many other MIDI devices. Working with Digidesign®, we have adapted their control spec to directly address the m802 as an integrated part of a ProTools|HD® system. 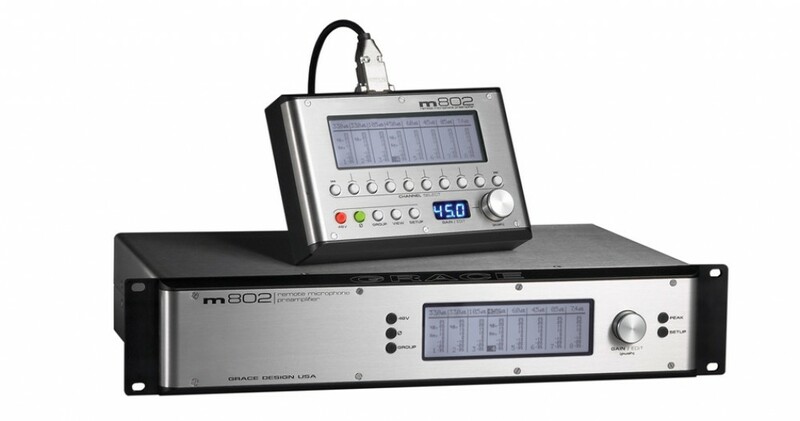 Additionally, the m802 can be controlled by a wide variety of MIDI mappable devices, making it easily integrated into a wide variety of remote recording situations. Next, consider the optional 8 channel 24bit/192kHz A/D card option. 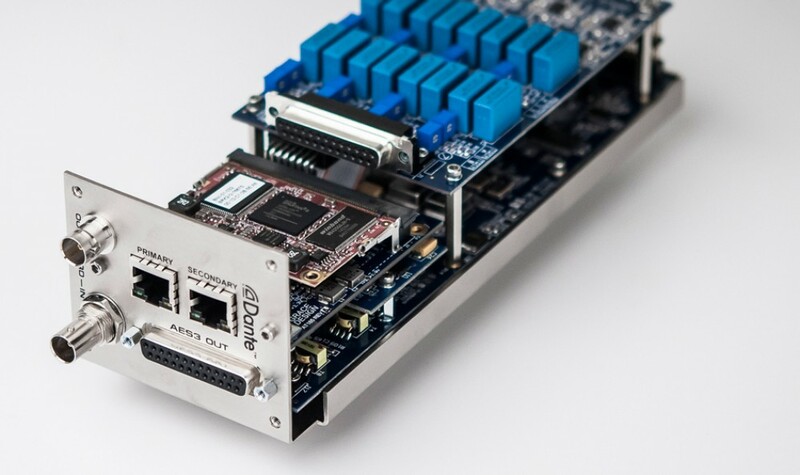 Developed as the perfect complement to the m802 mic preamplifier design, this converter card provides pristine, musical A/D conversion to rival even the finest stand alone units available. Included is our proprietary unique s-Lock™ dual stage PLL for extremely low intrinsic jitter and rock solid digital performance. The m802 now includes ribbon mic mode, which shifts the preamplifier’s entire gain range up 10dB, while deactivating 48V phantom power, optimizing input impedance and bypassing the decoupling capacitors. 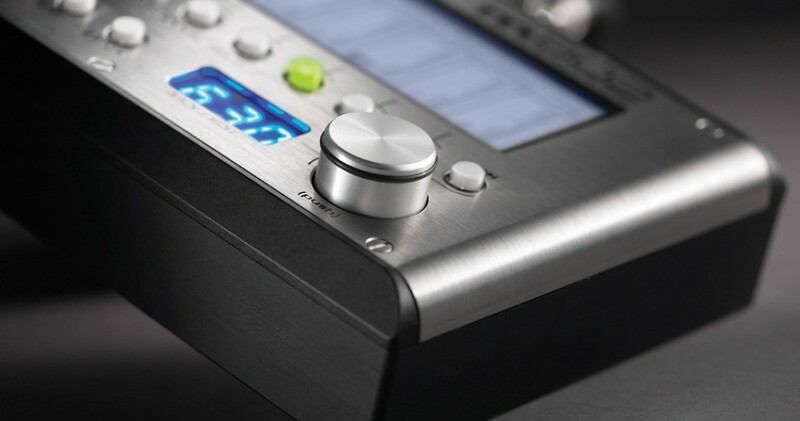 While the m802 works beautifully as a stand alone mic preamplifier, the optional Remote Control Unit (RCU) provides fantastic ergonomics and enhanced system control. This updated RCU now offers dedicated individual channel select switches and a new highly visible blue LED numeric display for channel gain settings. Both the RCU and the m802 now come with a high contrast, neutral backlight LCD.